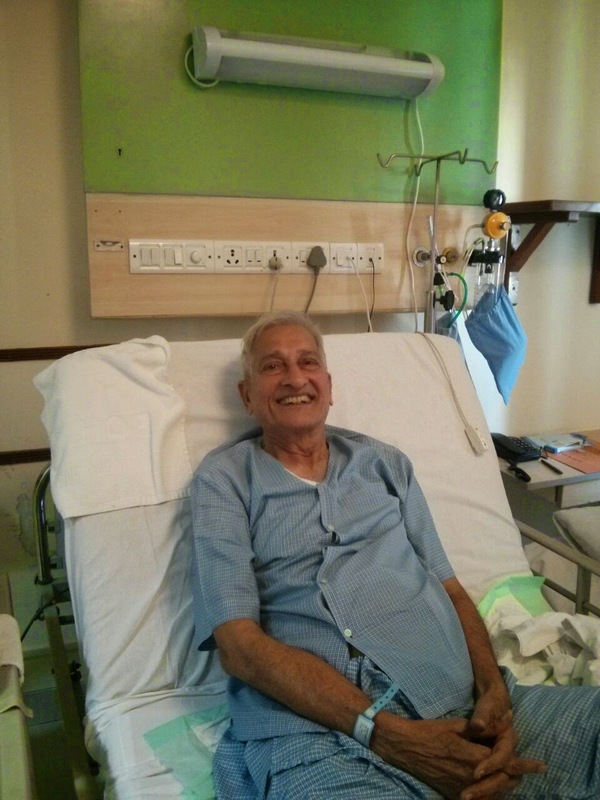 My father just fractured his femur , and has been admitted in hospital . His surgery is scheduled for today. I have now learned first hand, the hard way, what a difficult time the patient’s family members have in selecting the right hospital and the best doctor, especially during a medical emergency. Even though I am a doctor, it’s still very hard to be sure whether I am on the right track and have made the right choices. Inspite of the fact that I am part of the medical network in Mumbai, and have lots of “medical connections” , there’s still so much uncertainty I need to handle. There are so many questions I am having a hard time finding the right answers to. How do we know who has the best “surgical hands” ? Who does the largest volume of these operations ? What’s their complication rate ? Should we choose a surgeon based on his reputation ? Is it truly deserved ? Or is he a brand name doctor who maybe too busy to make postop rounds or provide personalised care , so that we are then forced to deal with his assistants? Are we better off choosing a much more senior doctor who is a family friend , but is not as well known ? What kind of replacement surgery should he have ? A THR ( total hip replacement ? ) a hemi arthroplasty ? what kind of artificial hip should we use ? metal only ? bipolar ? Should cement be used for fixing the orthosis ? Now I maybe a doctor, but this is stuff I am completely clueless about. Who should make these decisions ? The surgeon ? the patient ? should they do this jointly after discussing the pros and cons ? Or are these technical minutiae which are best left for the surgeon to make a call about ? Lots of questions, and there are still no clear answers. Though I have lots of friends who are surgeons, it’s hard to find out what they really think of his surgical skills. Doctors are very reluctant to bad-mouth other doctors or make comparisons and explicitly say Dr X is better than Dr Y ! Ideally, the surgery should be done within 24 hours of the fracture, but because he was very busy operating , we have had to postpone this by a day . Was this a sensible thing to do ? Should we have pushed for doing this more quickly ? Gone to another hospital ? Found another surgeon perhaps ? Sadly, the hospital we selected doesn’t seem to have standardized treatment protocols. Every orthopedic surgeon in the hospital follows their own treatment regime and it seems to be quite haphazard. These are not full-time doctors, which means a lot of the hands-on care is provided by juniors and assistants. Often one department has no clue what the other one wants. For example, there’s seems to be no coordination between what the blood bank wants ( 4 units of blood and 4 units of plasma) and what the surgeon told us we would need ( 0 units of blood). One tries to act like a hawk and make sure the “I”s are being dotted and the “t”s are being crossed, but it’s hard to be sure if everything is going according to plan. We try to fill in the gaps by reading and asking other doctor friends, but this sometimes makes things even worse ! Getting conflicting advise just adds to the confusion and it seems much easier to leave everything upto the surgeon – after all, isn’t he the one in charge ? But then, on the other hand, being a passive patient is never a good idea ? Hasn’t it been proven that alert, activated and empowered patients get better medical care ? How do we define the line between asking intelligent questions and being intrusive ? Will he get offended if we push too much ? Or isn’t it true that a good doctor worth his salt should be willing to engage and be open ? There is a major need for openness and transparency, and health insurers could fill in this gap so well. They already have outcomes data, and it should be possible for me to call a helpline and get answers to some of these questions. The insurer could act like a patient advocate, and coach me as to what questions to ask and help me to find the answers, and select the best doctor. Sadly, health insurance is another mess ! The hospital doesn’t accept the Mediclaim policy my father has, which means we need to pay in advance, and then submit our claims. This is an onerous procedure, which involves filling out multiple forms, and has to be done in defined timeline. And the agent from whom we bought the policy is not accessible, so we have to fend for ourselves ! Friends and relatives are concerned and offer well-meaning advice and their support is welcome. But making the decisions is a lonely exercise and often a thankless job. There are so many worries, and it’s so hard to be able to talk to someone to confirm I am on the right track. You are always second guessing yourself and hoping and praying that the outcome will be good !